The Droplet pendant light features a single curved-surface arrangement which partially conceals the bulb used for illumination. 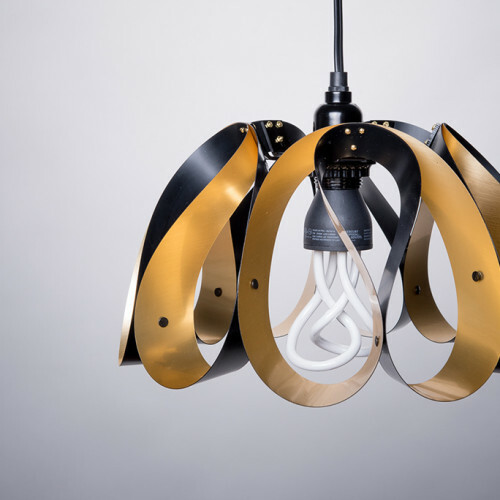 Designed in harmony with Baby Plumen 001 bulbs, Droplet features five sets of looped surfaces arranged around the center axis. 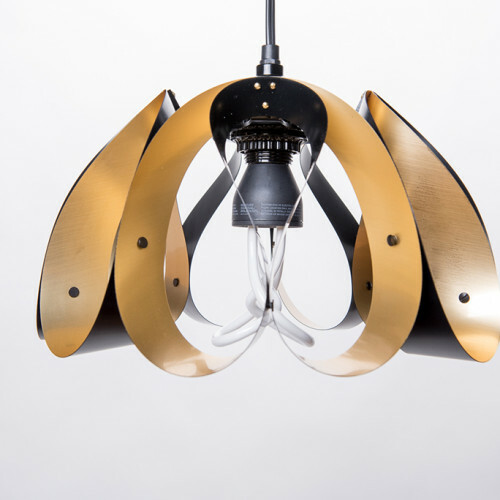 Droplet was unveiled at the 2015 Los Angeles Design Festival. 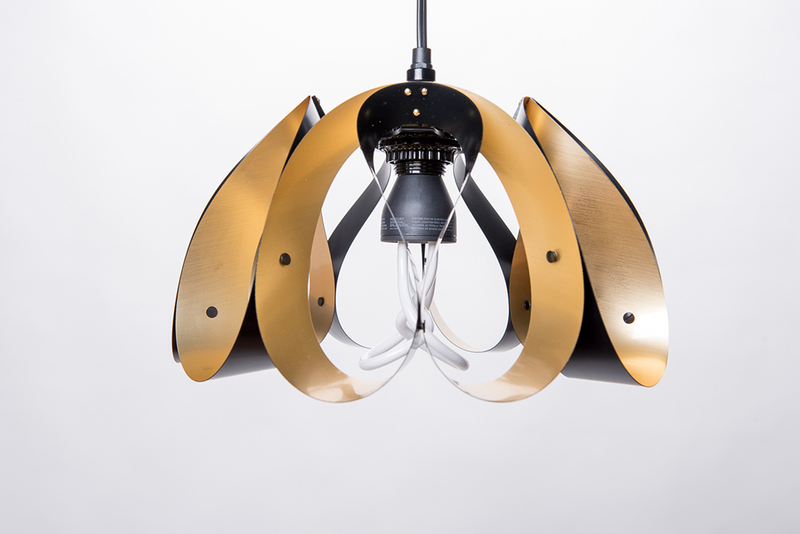 One in a new family of lighting, Droplet was inspired by the unique forms of jellyfish. 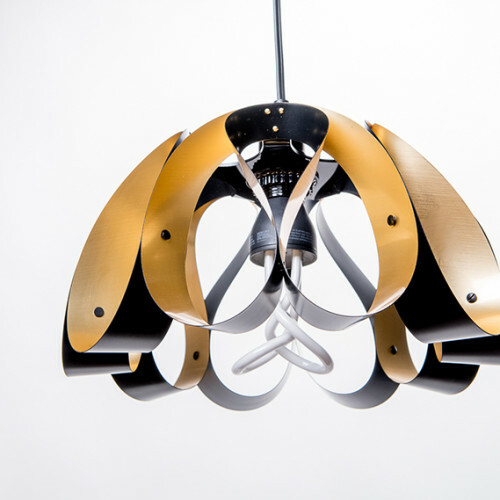 Droplet is constructed from laser cut sheets of metalized acrylic with corresponding hardware. 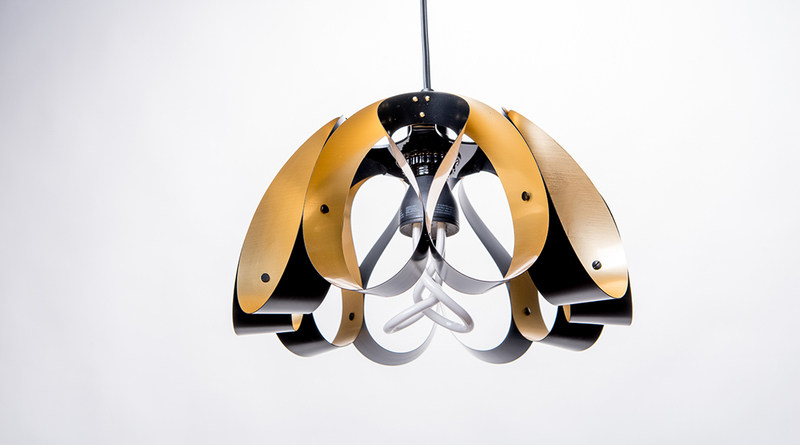 Droplet is available in brushed brass and black. 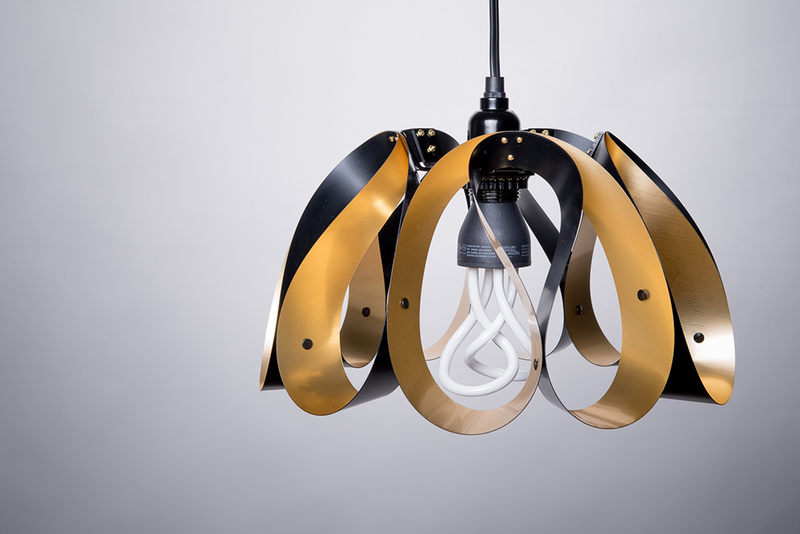 Shown with Baby Plumen bulb. Bulb not included.